Ivan Franjic’s 65th-minute winner against the Newcastle Jets last night was a symbol of Glory’s season. A step-over from Diego Castro, a slide-rule pass and then a nutmeg to finish – just when the tension was starting to mount in a gripping contest at HBF Park. They’ve been doing it all season. 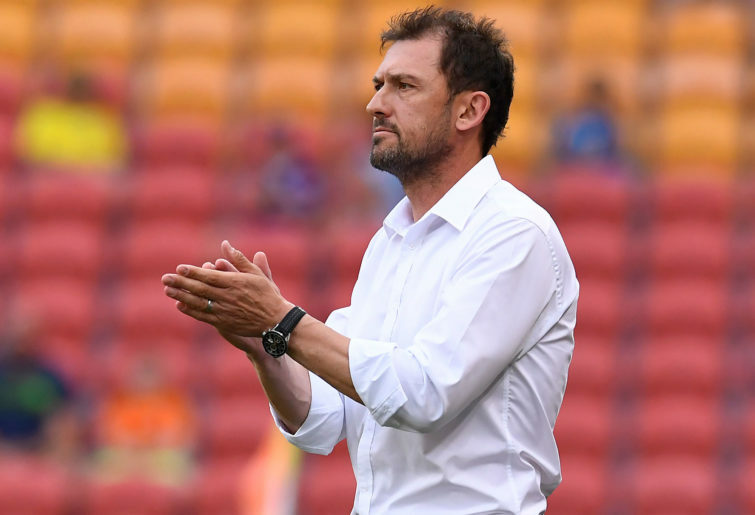 There’s no better team at squeezing the life out of an opponent than Tony Popovic’s outfit. And no team deserves to lift the Premiers’ Plate more than Glory. They’ve been the most consistent team in the competition, and they’ve proven it by winning their first piece of silverware in 15 years. But we all know what comes next. The finals boast the potential to trip up any team, and the Glory players will arguably be more nervous than most when the regular season wraps up. There’s still the unpredictability of what is essentially cup football to go before Perth Glory are crowned champions of Australia. And that’s okay – at least as far as I’m concerned – because every team starts the season knowing exactly what is required to win the A-League. To my mind, the real question is whether Glory can fill the new 60,000-capacity Optus Stadium should they host the grand final. They’ve done it once before, when Perth hosted English Premier League giants Chelsea in a friendly last July. But will 60,000 fans turn up for an A-League decider when Glory’s average attendances this season have hovered around the 10,000 mark? My bet is that they will. But a few things would need to happen to make that a reality. The first is that the FFA have to abandon their traditional tactic of trying to gouge the life out of anyone inclined to buy an A-League finals ticket. Time and time again they’ve been told their finals ticket prices are unrealistic, and time and time again they’ve gone for greed over common sense. We know that running a professional football competition is an expensive proposition, but trying to recoup every last dollar from the finals series has only served to disappoint committed fans and alienate any potential casual ones. So some sensible finals ticket prices is a must. The other thing Glory themselves need to do is simply remind Perth football’s community that there’s a championship on the line. You have to dig back deep into the annals of history to dredge up this statistic, but it’s worth remembering that when Glory hosted the Wollongong Wolves in their National Soccer League major semi-final second leg in May 2000, some 42,760 fans packed into Subiaco Oval to watch it. So there’s a long history of fans in Perth showing up for big fixtures when there’s something on the line. Whether or not they’ll do so in 2019 is the question. 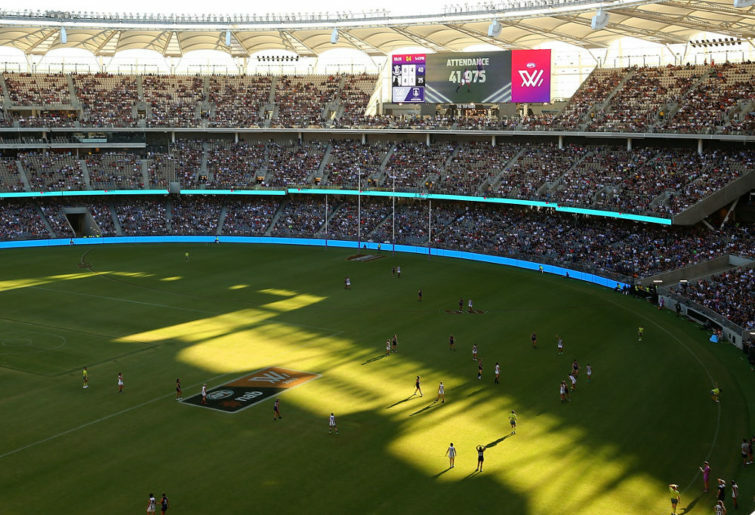 But there’s no doubt that should Perth win the right to host the grand final, it will be played at Optus Stadium and not HBF Park. There’s no way the FFA will ignore the extra ticket revenue a grand final there would generate, and the Western Australian government would throw a fit if the decider wasn’t at their costly new venue anyway. It’s a bit of a shame there’s not much riding on Sydney FC’s clash with the Glory at Kogarah on Thursday night now, although the Wanderers were good value for their point in Saturday night’s entertaining 1-1 Sydney derby draw. The Sky Blues have consistently dropped points throughout the season and they’ll do well to hold off the advances of Melbourne Victory in the race for second spot. But it’s Perth Glory who deserve all the congratulations. They’ve finally won a trophy. All that’s left now is to claim the one that really matters in front of a full house at Optus Stadium.